Are you guys ready to crush your last quarter goals so that you can bring in 2018 with a new perspective? I know we are! We took a couple of weeks off to reset, refocus, and plan content that is curated with intention, but now, we are back! Those of you who are regulars to our #FitChicks series know that we always start the month with a little bit of motivation. We love showing love to ladies that have made an impact in their field and that inspire us in the bossiest way possible, and this month is no different. It’s funny because both Channing and I have found ourselves in a season of major growth but, growth does not necessarily come in the form of all things positive. In fact, most of the time growth comes through trials. There is a distinct beauty in the lessons you learn, the people you impact and, most importantly, how close it brings you to God. That is why our October #BossChick is the perfect pick for this season and this walk. 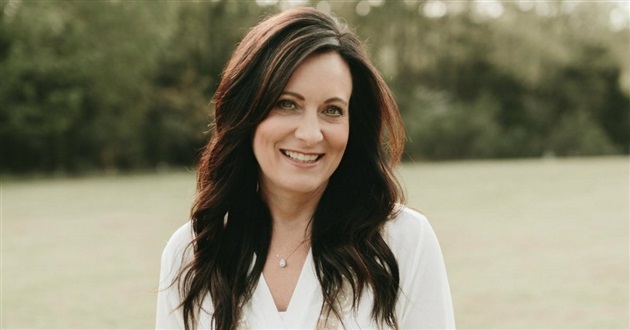 Lysa Terkeurst is the President and Founder of Proverbs 31 Ministries. Not only is she a mother of five but, she is also the New York Times bestselling author of Uninvited, The Best Yes, Unglued and Made to Crave. Lysa was recently awarded the Champions of Faith Author Award and has been published in multiple publications such as Focus on the Family, and CNN online. Additionally, she has appeared on the Today Show as one of the leading voices in the Christian community and I am a huge fan of her program. Check out three reasons why we chose Lysa as our October Boss Chick! One of the main complaints I hear from people who question organized religion is that the people in power are fake, judgy, and unrealistic. One of the main things that we like about Lysa is the fact that she does not pretend to live a “perfect” life. She’s real and wants to meet people where they are through her work with Proverbs 31 Ministries. I don’t know many women “bosses” that haven’t questioned their path and purpose at one time or another. The thing we love most about Proverbs 31 Ministries is that their intentions were just to glorify God. It was just that simple. With the world glued to their phones, what better way to meet people where they are than to create an app that helps to keep you accountable and focused? The First5 App challenges you to spend your first 5 minutes of the day with God via your mobile device. How many of us are willing to admit that we scroll Instagram or whatever our favorite social media fix is as soon as we wake up? That used to be me too but, the First5 App was literally a game changer! Make sure that you stay connected with Lysa and all things Proverbs31 and download the First5App too! Who are some ladies that have been on your radar lately? We feel like you can almost find inspiration anywhere and we would love to know who is inspiring you!